This position has been filled. Thank you for your applications! Having a beautifully designed website goes a long way. 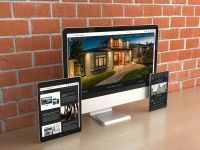 Having great content added to it, as well as supplementing it with social media marketing, helps it go the extra distance that it needs to truly perform well for our real estate agents. Our own social media needs a lot of work to maintain as well. We have an opening for an entry level content & social marketer position opening up as we send off our current agent, Melanie Cull, to move onto a Marketing Coordinator position for a well-established bio-engineering firm near Vancouver. The chosen candidate will be working out of our Gastown studio in Downtown Vancouver. Foreign contractors need not apply as we have a very strict policy of our entire workforce operating out of our Vancouver Headquarters. This is a full-time position, Monday through Friday. Full time employment in a dynamic, fast-paced team! Opportunity to learn & grow in a Vancouver-based start-up with years of operation history. Free coffee, lattes & tea all day long, plus ice cream in the summer, chocolate in the winter! Please send your applications by email to jeff@brixwork.com! Do not phone – if you call us, you will automatically be disqualified.